Let me start by saying I am one of the only professional retriever trainers in the Pacific Northwest that offers private lessons. I believe if owners want to train their retriever on their own and not leave their dog in a kennel that should be an option for them! I also love working with people and their dogs and seeing them excel! If an owner is committed to retriever training on their own, but needs a little help from a professional dog trainer from time to time, retriever training lessons are the way to go. 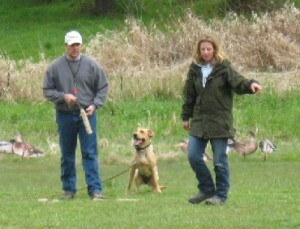 Retriever training lessons will be tailored to the individual retriever’s level at that time lessons start. The one-on-one attention an owner and retriever receive in these dog training lessons can include anything from introducing your new retriever puppy to birds and gun fire, to force fetching, to training your dog to handle and run blinds. 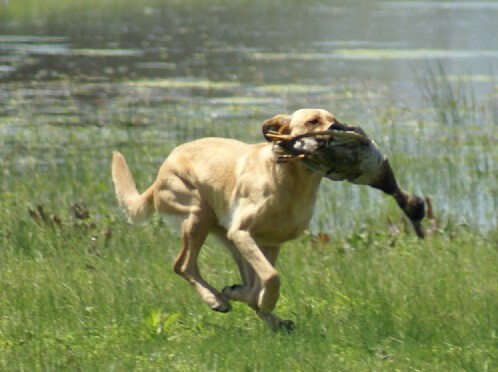 There are two main reasons why private retriever training lessons will work well for you and your retriever’s training career. First, you can fit a private lesson into any schedule. With advanced notice I am very flexible for scheduling. For example, a lesson could be scheduled for a Saturday morning and/or a Wednesday afternoon. 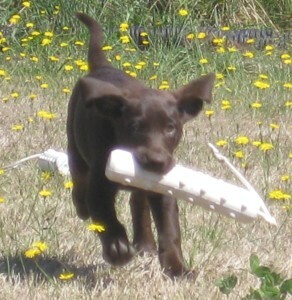 Second, private dog training lessons can be tailored specifically to your retrievers training needs. For example you could schedule a private lesson for your new retriever puppy that hasn’t even see a bumper or your two year old retriever that needs help running blinds. Retriever puppy private lessons are individually designed for each retriever puppy to encourage natural talent, ability, and confidence. A retriever puppy private lesson can be a simple as introducing your retriever to birds or more advanced for example teaching your retriever puppy to retrieve multiple marks. For more advanced retrievers, dog training lessons will be tailored to the individual retriever’s level of training at that time. For example, lessons for running blinds can cover everything and anything from correctly teaching a T Drill and/or Lining Drill to running a Mark/Blind Drills. Lessons are one hour and can be scheduled randomly or every week, whatever works for you and your retriever. After the lesson, “homework” will be emailed to you and I will be available through email or phone to answer any questions you might have. Also if you are getting private lessons you are welcome to join my training group at any time at no additional cost. Lessons are $50.00 an hour or 4 lessons for $175.00 if pre-paid. To schedule a private lesson, specifically designed just for your retriever, on your schedule, or to learn more about Rogue Retriever training program call (503) 522-9896 or email adrienne@rogueretrievers.com.